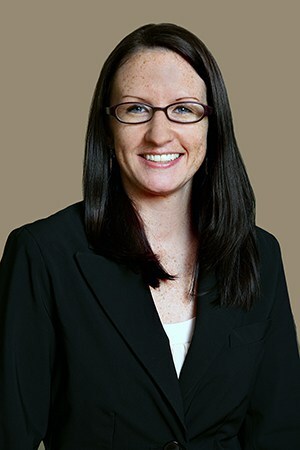 At Haggerty, Goldberg, Schleifer & Kupersmith, P.C., Beth A. Bowers focuses on handling a wide range of personal injury matters, including those related to workers’ compensation. She gained extensive knowledge about workers’ compensation claims while working as a workers’ compensation defense lawyer and representing insurance companies and employers. Beth regularly appears before the Pennsylvania Workers’ Compensation Appeal Board, Workers’ Compensation Judges, and the Commonwealth Court. She has also handled workers’ compensation matters throughout New Jersey. In May of 2017, Ms. Bowers became certified as a specialist in the practice of workers’ compensation law by the Pennsylvania Bar Association Section on Workers’ Compensation Law as authorized by the Pennsylvania Supreme Court. While completing her legal studies at Widener University, Ms. Bowers was awarded the Alexander V. Sarcione, Jr. Memorial Award and the Most Promising Civil Litigator Award. She was also a member of the Moe Levine Trial Advocacy Honor Society and interned for the Chester County District Attorney’s Office and the Delaware County Public Defender’s Office. Before focusing on personal injury law, Ms. Bowers was an Assistant District Attorney in the Chester County District Attorney’s Office where she prosecuted accused individuals. She is licensed to practice in New Jersey, Pennsylvania, and the U.S. District Court for the Eastern District of Pennsylvania. In addition to her legal practice, Ms. Bowers is an adjunct instructor at Lehigh Carbon Community College where she teaches Workers’ Compensation Practice for Paralegals, as well as Contract and Business Organizational Law in LCCC’s Paralegal Studies program. She currently serves on the Board of Directors for the Greater Berks Latino Chamber of Commerce, as well as for Neighborhood Housing Services of Greater Berks, Inc. If you have been injured while working and wish to seek workers’ compensation benefits, Attorney Bowers can guide you through the entire process. She is well-versed regarding the Pennsylvania Workers’ Compensation Act and remains informed about any developments or changes. Her sharp litigation skills could make all the difference to the outcome of your case. She would be happy to explain the process as well as your options during an initial consultation, free of charge.